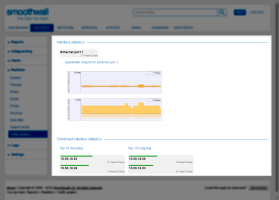 To access the traffic graphs page, go to Reports > Realtime > Traffic graphs. 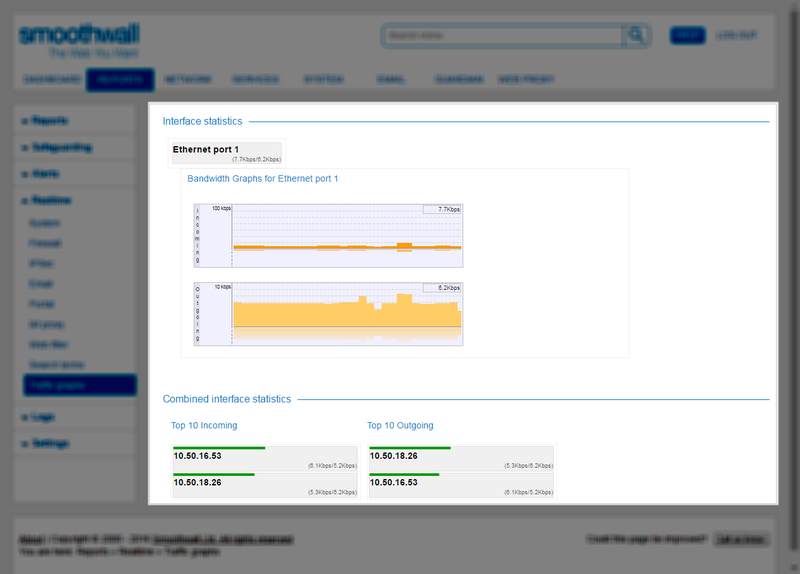  Interface statistics displays a list of active interfaces on the Smoothwall. Clicking an interface, displays the incoming and outgoing bandwidth usage as a graph.  Combined interface statistics displays the top 10 IP addresses according to incoming and outgoing bandwidth usage. This is particularly useful when addressing a potential denial of service (DoS) attack. It should be noted that the traffic displayed per IP address is a combination of traffic across all interfaces.